The Pulse 100 microprocessor based monitor is designed for those customers wishing to monitor liquid level in a single vessel. The Pulse enclosure may be wall or panel mounted directly within the process, or control room environment. Visual indication of tank contents is provided via a 6 active digit LED display, giving optimum readout resolution regardless of measurement units. The single enclosure also houses the main microprocessor board, power supply and input/output interface card slots. 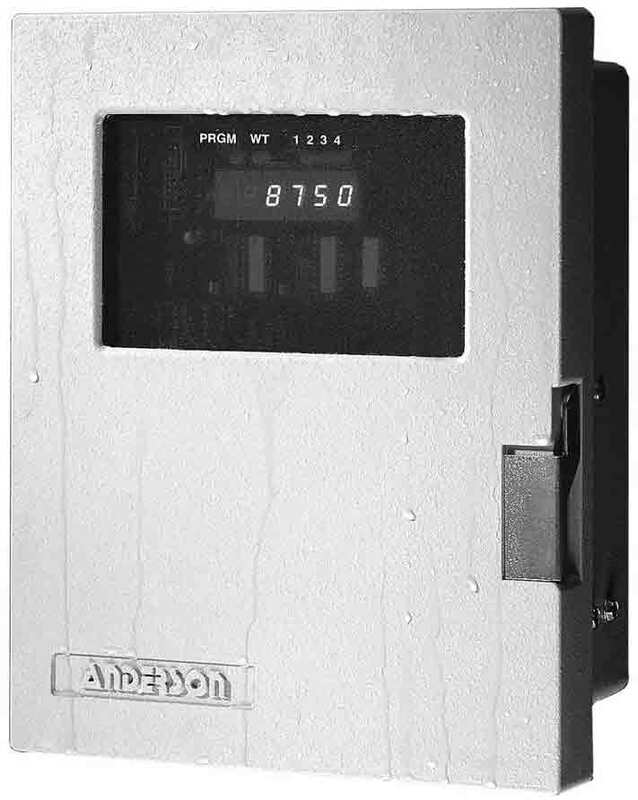 The Pulse 100 is supplied with a 4-20 mA input card, thus allowing direct hookup to Anderson liquid level sensors. Switching functions are provided via an optional plug in relay card, and allows for two active above, as well as two active below, switch points. Programming of system parameters such as tank span, offset, and product specific gravity values may be accomplished utilizing the four momentary contact switches located on the interior of the unit. The unit may be programmed after installation to display either volume (gallons or liters) or weight (pounds or kilograms). A custom config-ured 100 point calibration reference table may be utilized to give true volumetric readings on non-linear vessels. The enclosure may be wall or panel mounted, up to 1200 feet from the vessel.